FIXYOURTHINKING.COM / Need a brain? Borrow mine! : I Found A Ratatouille In My Chicken McNugget! I wanted to revisit my 15 minutes of fame from this website for a moment. This story remains my most commented on, most linked, and most hit page. The article was also published on several "How To Write a Great Blog" tip sites. Personally, I think this merger comes at a different time than say Pre-Incredibles. I think the merger is dishonest because this will be Pixar's least successful film to date. While I'm sure it will be a great film --- outdoing anything Dreamworks could possibly think up ... I just think this deal is being made at a time when Pixar stock could take a huge hit because of lackluster box office results for Cars. Cars ended up making $244 million at the US domestic box office. Adjusted for inflation; this is slightly more money than A Bug's Life made. A Bug's Life has ended up being a classic Disney film with an attraction at Disney's Animal Kingdom being the centerpiece of the entire theme park. There's hardly any merchandising at all with Cars at Disney World - although Cars has been very successful in toy and NASCAR tie-ins. One of the things I noticed about Ratatouille is that it wasn't possible to market it with a McDonald's Happy Meal - no one wants to associate RATS! with their food. It now appears as if Ratatouille, while certainly a box office success; will end up being Pixar's worst performing movie at the box office to date. In my opinion, it's not that great of a movie ... but like Cars may have a limited appeal to all children and certainly a limited appeal to cross promotions at restaurants - where Disney typically floods children's vision with tie-in toys and advertising. A movie studio sees roughly 55% of it's box office revenue. 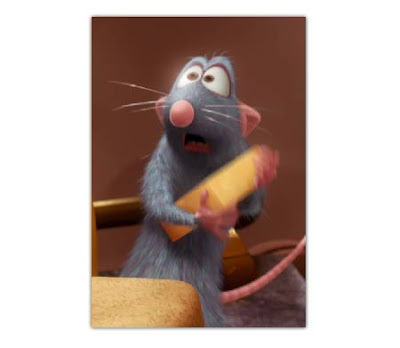 Ratatouille cost $150 million - the most expensive Pixar film to date. Good thing Steve Jobs sold Pixar when when he did aye? I'm having to admit a lot of wrong today ... first Fake Steve - now this. Ratatouille - I think Pixar and Disney were hoping for a better box office from Charlotte's Web so as to popularize "rats in film". I see this movie making a lot more than Cars and being a huge hit internationally. I predict this movie will make $250 million in the US, but $400 million internationally. I'm also keen to see if there was any "Steve Jobs is head of Pixar & Apple effect" that has worn off since the sale of Pixar to Disney. Disney's current CGI animated picture - Meet The Robinsons is essentially a Pixar film - just not under the name. It's not fairing too well. Also a few readers said that The Simpsons was going to be a big movie and I scoffed. WOW! Was I ever wrong about that. The Simpsons cost $75 million to make and has already pulled in $236 million Worldwide. So ... let's just say ... 3 strikes I'm out ... next inning. It's hard for me to get worked up about a rat in association with food, no matter how cute he is. I have not seen the Simpson's movie, but plan to.